Dr Craig Roles, Henderson chiropractor at Green Valley Chiropractic and Wellness Center explains NASA technology speeds healing. Amazingly, a device that started out life as a tile scanner on NASA shuttles has become a mainstay at the Green Valley Chiropractic and Wellness Center. Indeed, Dr. Craig Roles, chiropractic medical practitioner in Henderson was featured recently where he discussed the cases of two patients and then worked on the television news reporter. The device in question came from the National Aeronautics and Space Administration that developed the piezoelectric fault detector and its computerized software as it hunted for faulty heat shield tiles. The device makes two passes over the back. The first pass determines the baseline for the shape the back is in. After looking at the baseline drawn, the Chiropractor in Henderson, Dr. Craig Roles, compares it to the ideal spine for a person of a certain age and weight type, after interviewing the patient extensively and handling any manipulation that must be done. When that is finished, the chiropractor in Henderson, Dr. Roles then makes multiple runs with the other side of the NASA device whose beeping sounds something like a small metal tap hammer and adjusts the spine back into place gently. One does not hear the traditional snap, crackle and pop that is normally associated with the chiropractor in Henderson. Interviews with Dr. Roles’ patients uniformly praised this new re-usage of an older NASA technology. One woman, whose back was paining here all through the day and night, took several treatments from Dr. Roles’ machine and within weeks found her need for pain-relieving drugs had lessened as her range of motion increased. A second patient, who had lost most of the range of motion in her lower back and could barely walk, when she did walk, she told the TV reporter, she was in an aggressive amount of pain. Again, after several treatments with this machine, the non-walking patient was walking and her range of motion had increased substantially. Indeed, the TV reporter braved the machine, where Henderson, Dr. Craig Roles told the reporter that her back was in basically lousy shape but that he could work with her and even after one application of the device, her pain was much relieved. One cannot forget, though, that Dr. Roles still runs a full-service Chiropractic service in Henderson, NV, so one will still find the usually array of e-stims (electrical stimulation machine) that delivers ultrasonic vibration for 10 to 20 minutes a session. That might be backed up by a staff assistance using older chiropractic stretching techniques to ease your body back into its proper positions. These are not the most comfortable moves. 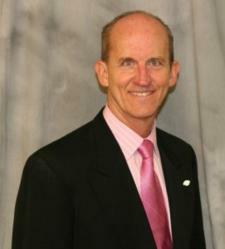 Dr. Craig Roles' clinic also will develop specialized orthopedic-style exercises for his clients if they are needed. He also deals in wellness because he realizes that the stresses of daily life have a lot to do with how one’s body reacts to external stress. Indeed, the list of potential cures that his website lists does make interesting reading, if one has a moment. It is fascinating reading.